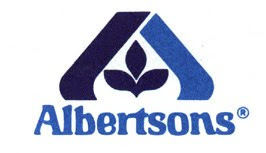 It's with a heavy heart that I have to report that Albertsons is leaving my area. All the stores in my county are closing with the nearest remaining stores over 50 miles from me. So unfortunately, I will no longer be covering Albertsons. This is a major loss to me and everyone in my area because they offered some of the best deals on meats and some of the best B2G1 deals around. However, being an eternal optimist, I won't let that bring me down! I'll now be increasing my coverage of Winn-Dixie, so stay tuned for more good WD deals!